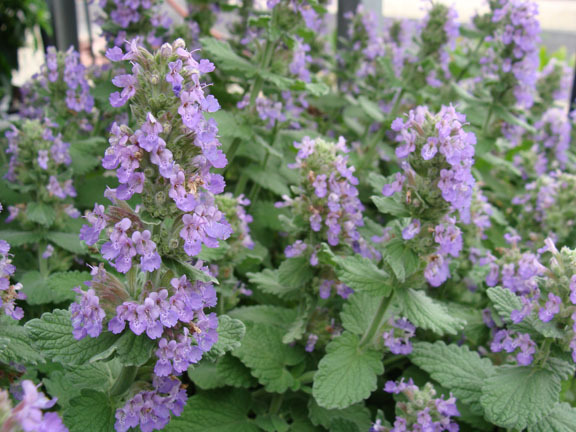 Catmints (Nepeta) are some of our best garden perennials, as they are long lived, very easy-to-grow, resistant to browsing animals (deer and rabbits), and they feature a profusion of color in various shades of blue. 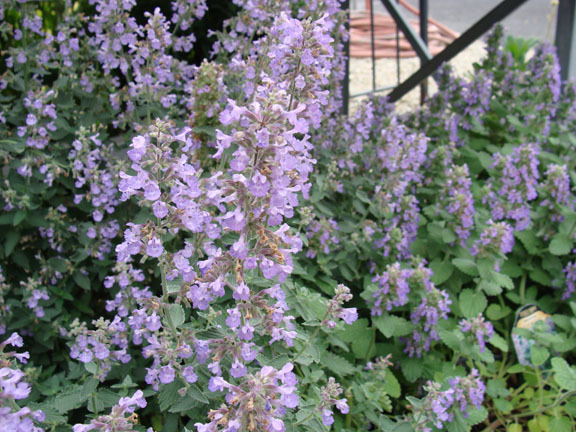 Because catmint tends to come in soft colors, generally blue/purple blooms on top of cool grey-green, this plant is easy to pair with other perennials and annuals without clashing. The bloom show tends to reach its peak color just as most of the spring bulbs are finishing and before many of your summer perennials begin to bloom, easily filling in some color during that green season. They are also a wonderful source of nectar for many pollinators. Blooms of colorful catmint can also hold on for quite some time. The plants can be sheared back after the initial wave of blooms in order to encourage a second round of color. This also helps to keep the plants looking tidy and not becoming too overgrown. Catmints are fast-growing plants. When they first begin in spring, they form tidy little mounds of neat new foliage. This quickly grows outward as plants begin to set their buds for their flower show. One of the most common varieties grown is called ‘Walker’s Low.’ However, don’t be fooled by the name—this is by no means a low plant. These plants quickly reach their full height of around 3 feet tall by 3 feet wide. Once their flowering spectacle is complete, many of the catmints become leggy and flop open. If this is the case, you can easily remedy that by giving the plants a good cutback. This will encourage a nice new flush of growth, as well as a second round of flowers if you are lucky. One of the best things about catmints is their toughness and ability to handle poor soil conditions. If you’ve had problems in the past growing things in heavy dry clay, look no further! Catmint can handle it and still thrive. An important thing to keep in mind, however, is that these plants do like sunshine. They can handle part shade, but they will be much more likely to flop open. It is also important to note that many species of catmint can become weedy in the garden setting. If you are worried about this, look for sterile varieties like ‘Walker’s Low’ that will not seed about and cause any future problems. Catmint is also known to withstand harsh winters. This fragrant perennial works great in rock gardens, border fronts, herb gardens, naturalized plantings or to under plant a rose bed. Also good plant for edging or small scale ground cover.